Redesigning the digital identity and online strategy.. User experience design and campaigning. How do you embody luxury and comfort into a digital experience? 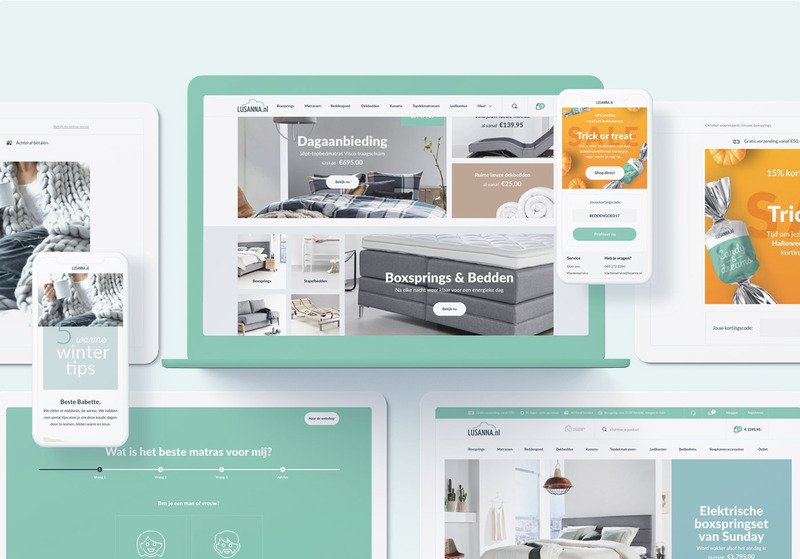 Lusanna.nl offers affordable luxury in sleeping comfort and tasked us with reviving their brand experience into a new digital identity and online strategy. Lusanna.nl offers affordable luxury in sleeping comfort. We created a redesign for the Magento 2 platform that inspires and guides buyers with advice from experts. Our starting point was 'sleeping equals rest'. This wass exactly what we want to offer in the customer journey. 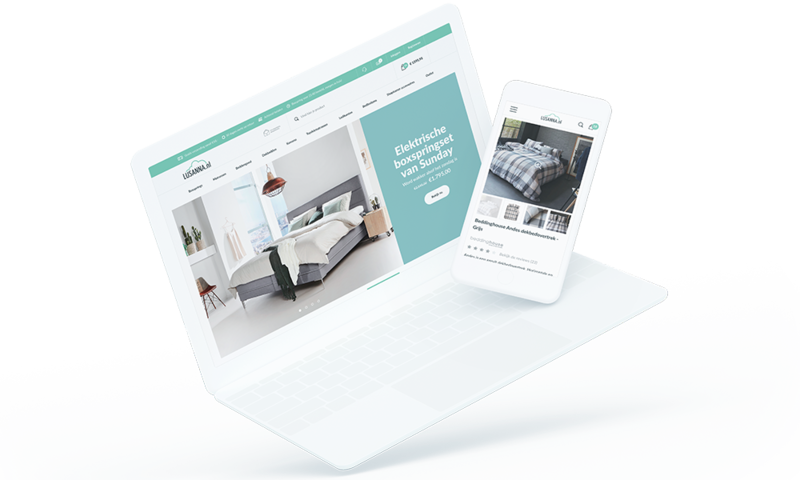 Not a screaming website but an attractively designed one with inspiration to make the bedroom a space where you feel comfortable and can recharge yourself. No need to worry about specific advice, we created a platform based on the know-how of Lusanna’s experts. Product reviews given by customers, after a purchase, provide a great deal of added value for others; they accelerate the sale of products greatly. We have designed an online experience with a luxurious feel. The website has a clean appearance with a fresh and friendly color palette and visual language. Inspiration is key on Lusanna.nl, customers have to be sure they are buying a high-quality product. We use large and beautiful photography that matches the proposition. We have come up with a well-thought-out interface in which inspiration and persuasion go hand in hand. The combination of a clear user flow, strong photography and clear call-to-actions lead to increased conversion and returning visitors. We invent creative ideas to trigger and retain the target group. We inspire, trigger and inform with newsletters that match actuality and Lusanna’s target group. Marketing Automation is a particularly powerful and efficient solution for supporting Lusanna’s prospects within the buyer journey. In other words: converting anonymous online visitors to prospects and ultimately to good quality leads based on their behavior and needs.